Some of my Valentine's Day gifts centered around Fifty Shades of Grey things. The soundtrack is one of the best I have heard in a long time, every track is worth listening to. It's so rare not to want to hit the skip button! And even if you don't want to watch the movie or read the book, these are all worth a try. Of course, MUFE and OPI rarely fall beneath expectations. 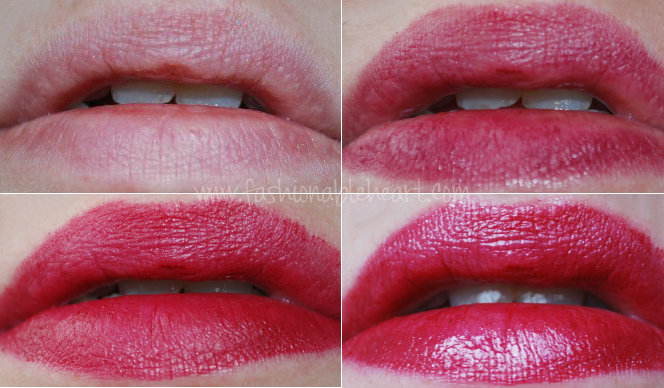 Keep reading to see my swatches of the Make Up For Ever Tease Me Lip Set in Passionate. I believe both lip sets have sold out on Sephora's website, but you still may be able to find them in your local store. They come packaged in black tissue paper and also come with a little booklet with lip looks to try. I did not swatch the clear gloss, because it's a basic clear gloss. 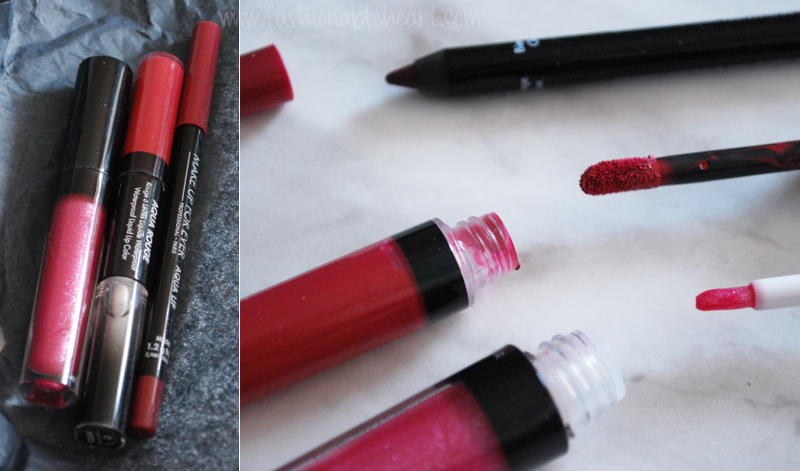 Here is Aqua Lip 10C liner, Aqua Rouge 50 liquid lip color, and Lab Shine Diamond Collection D4 gloss. Aqua Rouge 50 was limited to this collection. You can purchase 10C and D4 in the permanent line. Now that I have had a dose of Aqua Rouge, I would definitely purchase more. This stuff did not budge! Great for girls like me who hate having to do touch-ups while out! 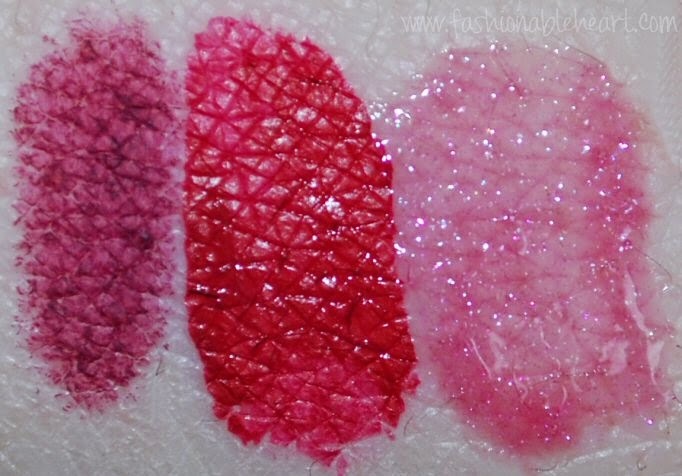 Clockwise from top left: bare lips, 10C liner, 50 liquid lipstick over 10C, and D4 gloss over 50 lipstick and 10C liner. It was love at first sight when I tried this set! The mini nail polish set can be purchased here, if you're in Canada. You can see swatches here. Shine for Me is a gorgeous silver and blue glitter and my favorite in the collection! I love these types of sets where you get to try various colors. So much fun to experiment and get a little more bang for your buck! 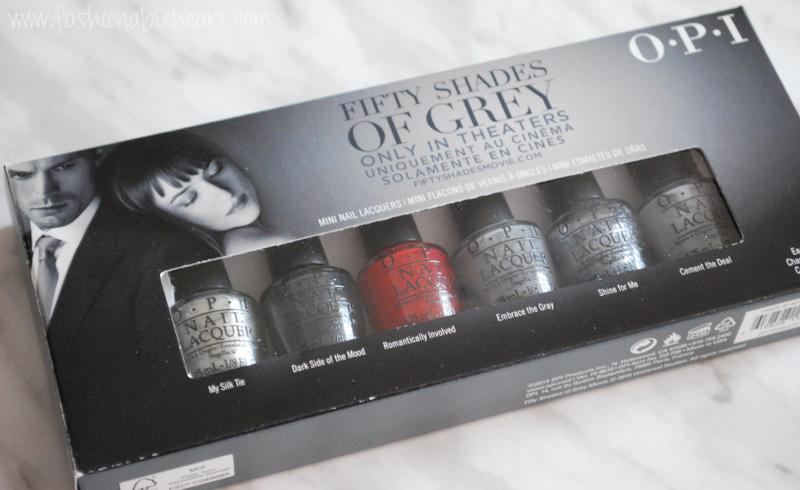 Have you tried any of the MUFE or OPI Fifty Shades of Grey items? Can't get enough of the Aqua Rouge! I really want to invest in another shade or two. It does not budge!